You know those movies you enjoy on Netflix, but wouldn't pay to see in theaters? That's Ouija. It wasn't terrible. It had an interesting story line and decent scares. Something was missing that would've made it fit for theaters. I'm reluctant to call it a B-movie. It wasn't that self-aware. B-movies know that they're B-movies. This was a horror movie that wanted to be taken seriously. It came off more like a teen scream without the gore. It was so predictable. The twist wasn't even original. The characters were bland. I mean, they had the perfect teenage life. I wish my teenage years were like that. Close group of friends. Four were in these perfect relationships. 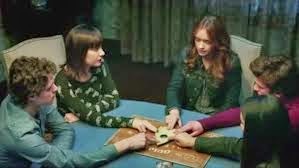 Ouija didn't even have the token monitory friend. They tried to go Goth with one of the characters, but she looked like everyone else by the middle of the movie. They were all the same. They lived in big houses and drove expensive cars. Well...one character rode a bike everywhere while the others drove. Another worked at a diner. I was more interested in them, but the movie focused on the lives of the rich characters. Ouija tried to add some family drama, but they forgot about it halfway through. I couldn't relate to the characters. I've read some YA books where I've related to the characters despite the age gap. The scares were okay. The story wasn't. I wanted more ghosts, more hauntings. They had a few make-you-jump moments. Those type of scares are shallow. They're good for a laugh, but they don't stick with you. I need some that'll get under your skin. The scares in Ouija were too quick. They happened in a couple of seconds and then we moved on. The climax was rushed. It left me unfulfilled. They tried to do an open ending and it fell flat. It's as if the writers were afraid of boring moments so they upped the story's pace making it move too fast. The characters did some research into the haunted house's past. I wanted more on that. The house had a creepy history yet the writers left us hanging. It bugged the crap out of me that the teenager's parents just disappeared. The kids were being tormented by ghosts, wandering around an empty house..dying and the parents vanished. We didn't get the sense that the kids had bad relationships with their parents. The movie just ignored them for some characters and sent them out of town for the others. The trailer is misleading. A few scenes from the trailer weren't in the movie. If you're looking for a Halloween movie, this is not the one. It's not even a good time killer. It wasn't a terrible movie. I just wish I didn't have to pay $14 to see it. 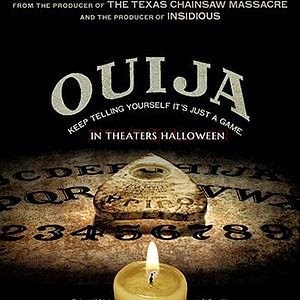 I'm trying to figure out why the people behind Ouija thought they could get away with releasing a movie like this in October. 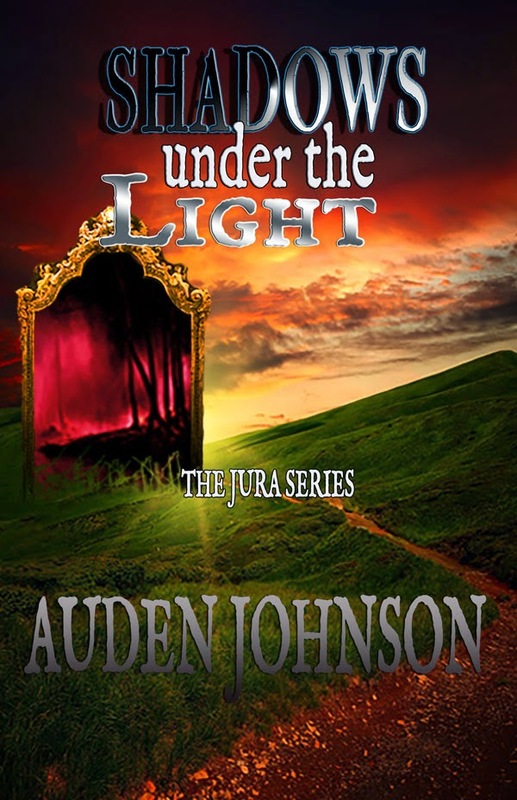 Shadows under the Light, Book 2 of The Jura Series is coming out tomorrow! It'll be available on Amazon. Promotion for the first book, Visible Through Darkness, went pretty well considering I focused on Tumblr and Instagram, two networks I've only been on for like a month, if that. They once moved forward together with hope. Now, shadows have infested their light. Food and water are scarce. Jade and Serin travel across a dying land, Jura, searching for a home where they will be accepted. They need to stay vigilant. Everything and everyone wants them dead. Jurians blame the two for the desolation of Jura. No place to rest. Jade and Serin don’t know much about their powers or their families. This journey, their wish, seems impossible. Their bond deepens as they find safety in each other. Their desperate search for water leads them deep underground. Finally, a safe community. Can they rest? The enemy follows their every movement. An ally watches from a distance. After an impossible journey, a home and rest...for now.